The philosophy of the Dan Roberts Group is born out of Dan’s extensive and varied experience working with individuals at the top of their game. He has always held the belief that we are designed to have athletic capability and with this believes that we cannot truly meet our potential without the mind and body connecting. When the mind and body is in synergy, we return to our natural self, we are happy and we perform our best. Dan has always trained this way, and as such his unique brand of ‘holistic athleticism’ is echoed throughout every product and service we provide. His career spans over 25 years and within this time he has developed a deep understanding of how the body and mind are connected. 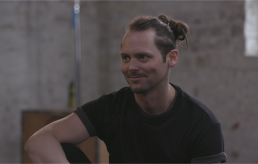 Whether Dan is coaching a competitive athlete, a model with the pressures of an unforgiving industry, an actor with a physically demanding role, or a business leader needing a radical lifestyle transformation, he has learnt that optimal results require a fun, scientific and holistic approach. In today’s increasingly superficial and stressful society, it’s more important than ever to free ourselves from the cage of comparison and chains of vanity and learn to love our body through a nuanced approach to fitness and well-being and a commitment to living an athletic lifestyle. 1: Help the world fall in love with their body more though spreading our unique philosophy of movement which marries playfulness, science and athleticism. 2: Raise the global standards of personal & group fitness instruction through our coach education and training programs. 3: Continue to innovate, collaborate and be a leading voice in the global wellness industry.